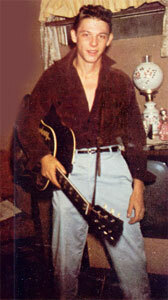 Chanteur Rockabilly US né John Leon Joseph Pavlik, le 25 Mai 1938 à Detroit (Michigan). 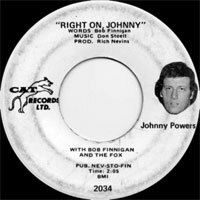 Johnny Powers a débuté en enregistrant un single à ses propres frais pour le label Fortune Records. 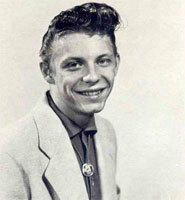 En 1957, Johnny signe chez Fox Records puis en 1959 avec la Sun Records, sans succès. Il a aussi enregistré pour Hi Q, Tee Pee, Olympic, Fox et Roller Coaster. Rockabilly artist Johnny Powers' story is one of the more intriguing the genre has to offer. Born John Leon Joseph Pavlik in 1938 in East Detroit, MI, he was the oldest of five children. The family later moved to the small town of Utica, MI, north of Detroit, where he was raised. Pavlik was exposed to music from an early age by members of his father's family, which included several amateur and semi-professional musicians who played weddings and local dances. It was country music, however, that first drew Pavlik into music on a personal level; he discovered Lonnie Barron, a veteran country singer with a show on local radio and would listen and try to play along with a guitar that he'd bought for $2.50 from a neighbor. He later got some helpful instruction from Marvin Maynard, a professional musician who lived in Utica. 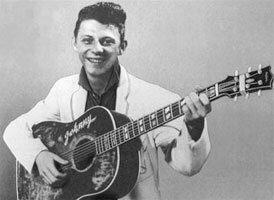 In 1954, at age 16, Pavlik joined Jimmy Williams and the Drifters, a local country band that played at a local venue called Bill's Barn and got a featured radio spot on a radio station out of Marine City, MI. He also played on one single cut by the band, but it wasn't long before rock & roll attracted Pavlik. It was Jack Scott's single, "Baby She's Gone," that drew him into rock & roll. Courtesy of Jimmy Williams' brother Russ, Pavlik discovered Elvis Presley when he was still a Memphis-based phenomenon, and his current single was "Milk Cow Blues Boogie," which really interested him, as a country song with a rock & roll beat. 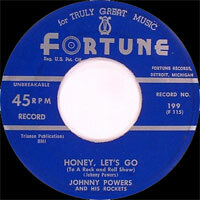 Soon he was adding the beat to his own country songs, and in 1957, Johnny Powers, as he was now known, got an audition with Fortune Records in Detroit. 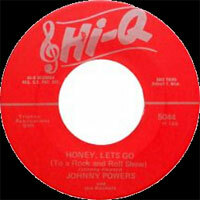 He paid $100 for his own session to record a pair of songs, "Honey, Let's Go to a Rock and Roll Show" b/w "Your Love" on the Hi-Q label. A black deejay named Ernie Durham played his record on WJLB, and Johnny Powers was one of the few white artists who would play the record hops that Durham sponsored. He later put together a band, Johnny Powers & His Rockets, with his friend Marvin Maynard on bass, Clark Locker on the drums, and Stan Getz on guitar. 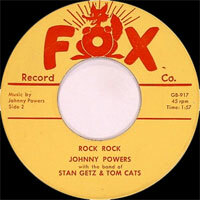 Powers jumped to the Fox label in 1958, getting a pair of regional hits with "Rock Rock" and "Long Blond Hair." The group got steady work cutting demos, some of which have surfaced as bootleg releases in recent years. Among his strongest work from this period were a pair of originals, "Mama Rock" and "Indeed I Do," cut for Leedon. On both, he sounds like the young, wild Elvis Presley that just arrived at RCA, and the group sings uncannily like the Jordanaires on the latter track. 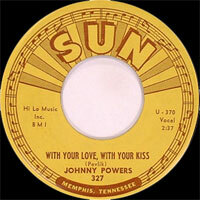 Things began to happen faster for Johnny Powers when his manager, Tommy Moers, got him a contract with Sun Records in 1959, heralded with the release of "With Your Love, With Your Kiss" b/w "Be Mine early that year. 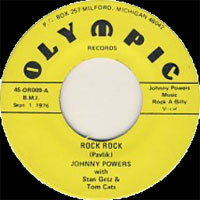 A second single followed, but Powers was dropped by Sun in 1960. He later became the first white artist signed to Motown Records, but with the passing of the '60s into the '70s, Power's career found him on the other side of the studio glass, producing hits with Tim Tam & the Turn-Ons' "Wait A Minute" and Jack Kittel's oddball country sickie "Psycho." Still active today, Johnny Powers is proof positive of rock's ability to produce a true survivor who also is a true believer in the strength that lies within the music itself.